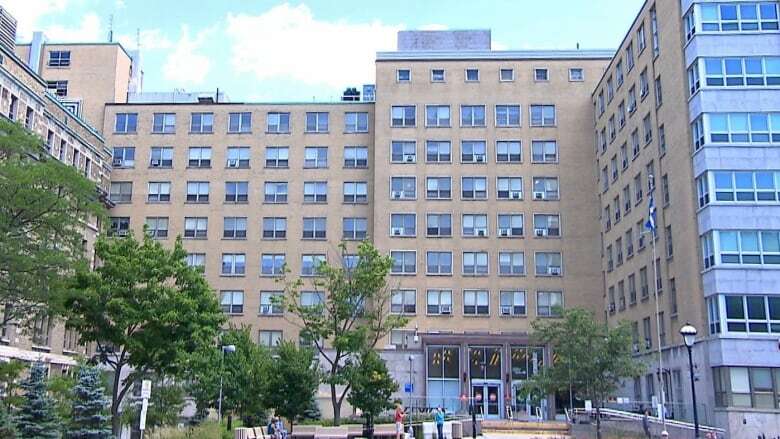 Workers and patients at Notre-Dame Hospital are complaining about "tropical" conditions on several floors of the aging building as Montreal is experiencing a heat wave. 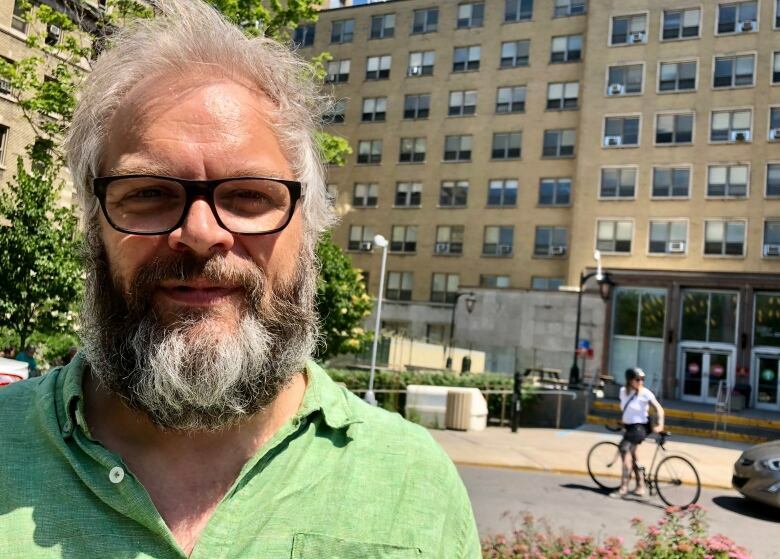 Workers and patients at Notre-Dame Hospital are complaining about stifling temperatures on several floors of the aging facility, as Montreal has been dealing with extreme heat and humidity over the past several days. "It's humid. 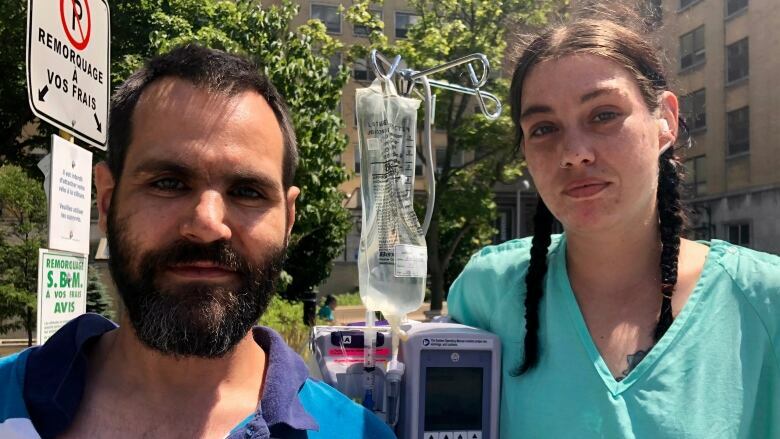 We're totally soaked; it's unbearable," said Audrey Lapointe, who is recovering from an abscess in her head at the hospital, which is located on Sherbrooke Street East. Lapointe said her fourth-floor room has no air conditioning and no fan, and she said hospital staff suggested she put a wet towel on her neck to cool down. "We can basically wring out our sheets it's so hot," she said. François Nadeau, who's staying on the same floor, took matters into his own hands. "I had to buy a big fan for my room just to be comfortable," he said. "You already feel bad because of your sickness, then it just makes things worse." Two workers at Notre-Dame contacted CBC News complaining of "tropical" conditions on the hospital's 7th floor, which houses the cardiology and pulmonology units. CBC News agreed to keep their identities confidential because they feared they'd get fired if they spoke out. A nurse said hospital staff has been moving patients to and from the few rooms on the floor that have air conditioners installed. They also were lining up patients in wheelchairs to cool off in their break room, the nurse said. A support employee said the weekend was especially challenging. Temperatures in Montreal reached more than 45 C with the humidity on Sunday. "Just after I got out of the elevator I felt all the heat and I saw there was only three fans on the floor," she said. 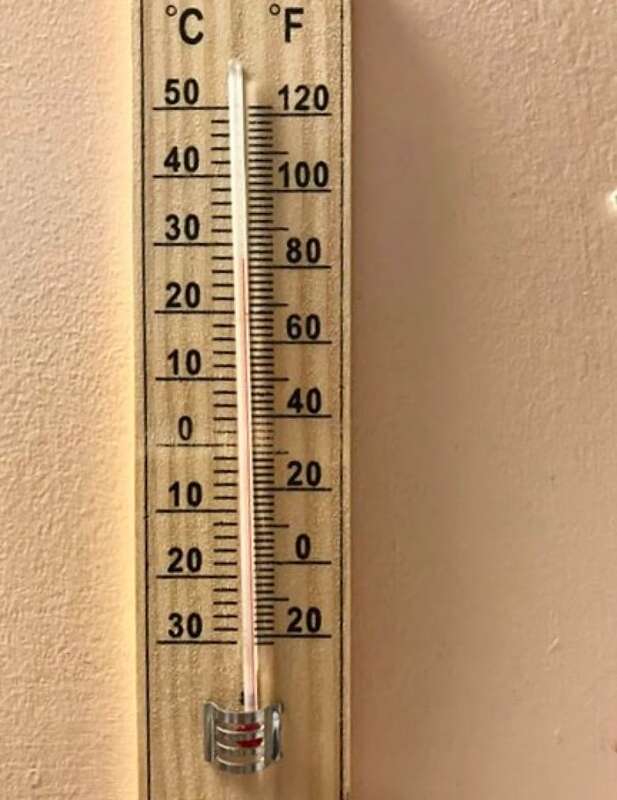 Sonia Bélanger, the head of the local health agency, CIUSSS du Centre-Sud-de-l'Île-de-Montréal, acknowledged that the heat wave has been difficult for patients without air conditioning. "Unfortunately hospitals weren't built in one day," Bélanger told CBC News in an interview. "Notre-Dame Hospital dates from last century; it's one of the oldest hospitals in Quebec." She said over the years, a large section of the hospital was upgraded to have air conditioning. The plan is to eventually extend it to all rooms. Bélanger wouldn't give a specific date for when areas without air conditioning would be modernized, however. She said moving patients to cooler parts of the hospital was "the thing to do," even though it could be disruptive. She also said she told management on Tuesday morning that if they needed to add extra staff to help move the patients, they could. Josianne Moreau, the president of the union representing the hospital's nurses, says she visited the hospital today and some floors were definitely worse than others. "Conditions vary a lot," she said, noting that the union had received a complaint from a nurse working in the 6th floor's postoperative wing, which has no air conditioning at all. "There's been no investment for years," Moreau said. "We still don't think every year there's going to be heat waves like this." Alain Croteau, president of the union that represents caregivers at the hospital, also checked in on the working conditions today. He says while no labour laws are being broken, providing climate control to a hospital shouldn't be rocket science. "They should solve the problem once and for all," Croteau said. "We're in 2018. We can go on the moon, but we cannot cool down the air in a hospital? It's unacceptable."